Parmigiani is an amazing company. Started by watchmaking genius Michel Parmigiani some 30 years ago when he became independent, the brand Parmigiani Fleurier is much younger...started 12 years ago, with the support of the Sandoz Foundation, the brand is the central to a theme of being totally independent. A full manufacture, with facilities to make components like screws, levers, springs to a full casemaking factory, a complete dial manufacture, and movement creations manufacture, the company is becoming truly independent. This particular watch plays on the iron fist in velvet glove flavour which so intrigues me. A strong, rugged case capable of 200m of water resistance protecting a tourbillon which traditionally is used to show the watchmaker's virtuosity and typically not rugged. I love watches which show this juxtaposition. The watch is quite magnificent. 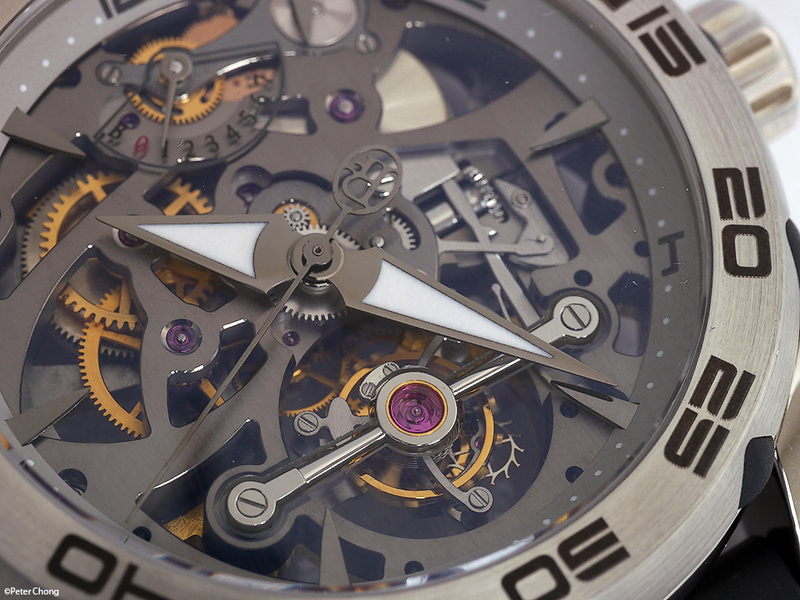 The fully in-house manufactured movement features the Caliber 511, manually wound watch, with open work pvd main plate and bridges and a 30 second tourbillon. 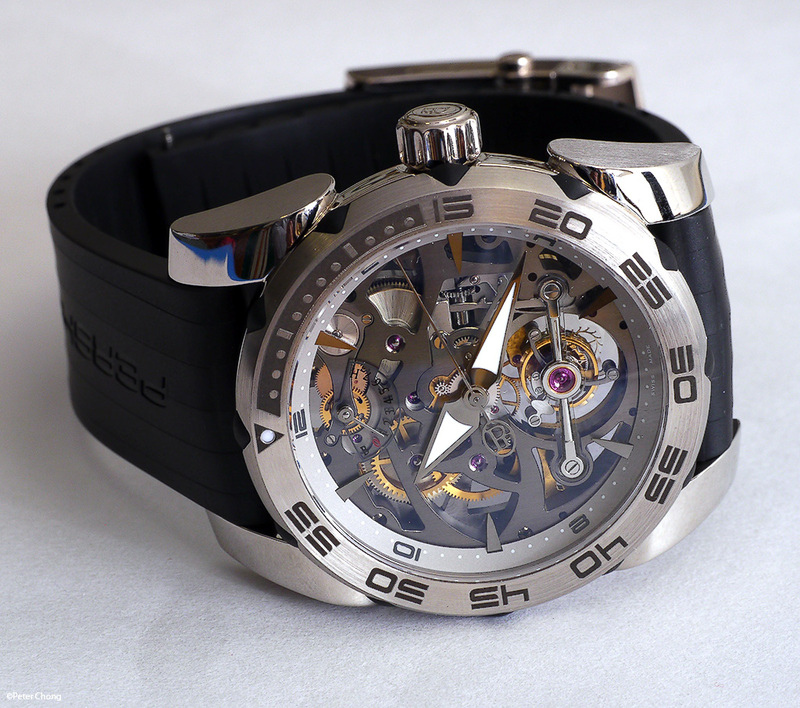 The movement has a power reserve of 1 week. 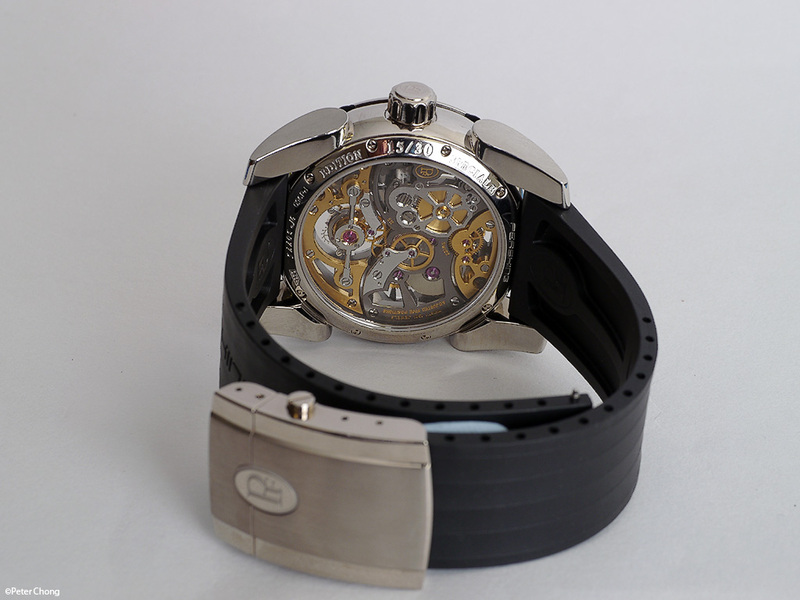 Both the front and back of the watch shows off the beautifully finished movement. I particularly love the gleaming tourbillon bridge's jewel and the intricate of patterns of the bridges fully visible under the sapphire dial. 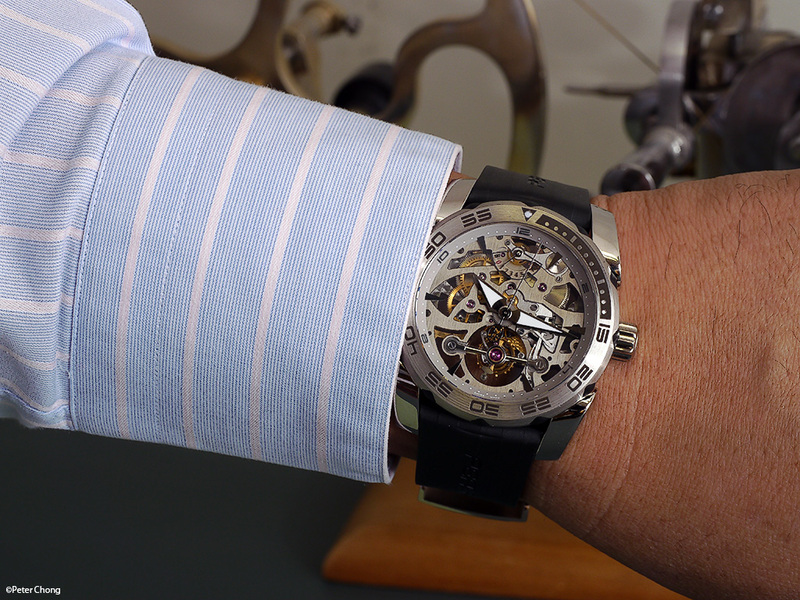 Though measuring some 45mm in diameter and sitting about 14.2mm high, the Pershing Open Work Tourbillon sits comfortably on my wrists. Available in palladium case with rubber strap with deployant buckle as shown limited to 30 pieces, or in 18k rose gold with Hermes aligator strap also limited to 30 pieces, or in palladium with diamond bezel and rubber bracelet in an edition size of 10 pieces.